When my children were little, our Halloween décor consisted of a pumpkin and a few friendly ghosts made of napkins. But as time went by and the kids grew older, my friendly décor just didn’t cut it anymore. They demanded “Gruesome” or nothing at all. 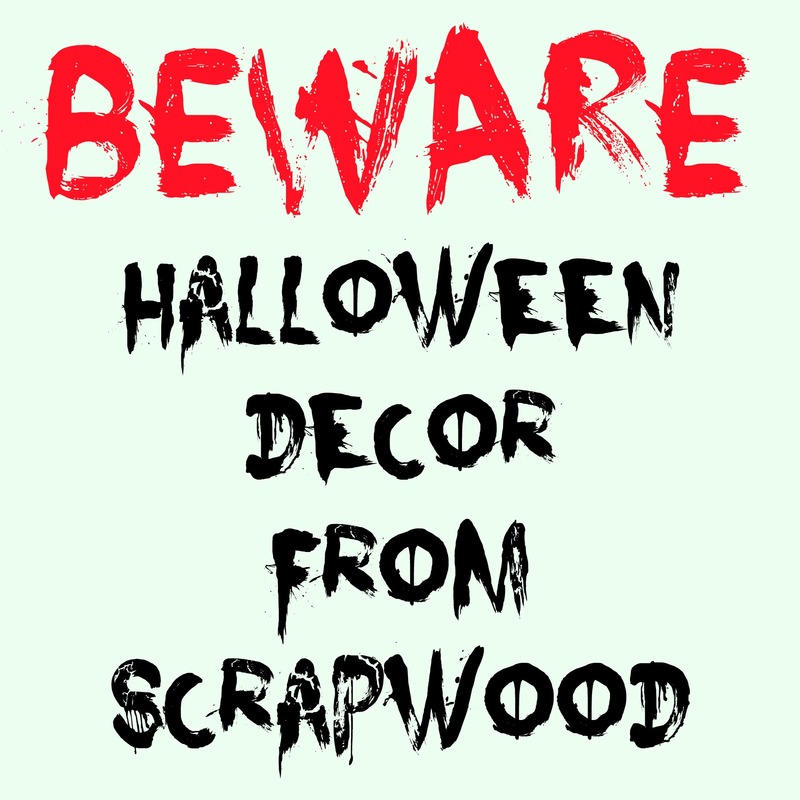 As we all know Halloween decorations can cost some serious bucks, and many of them are too plastic and cheap looking. 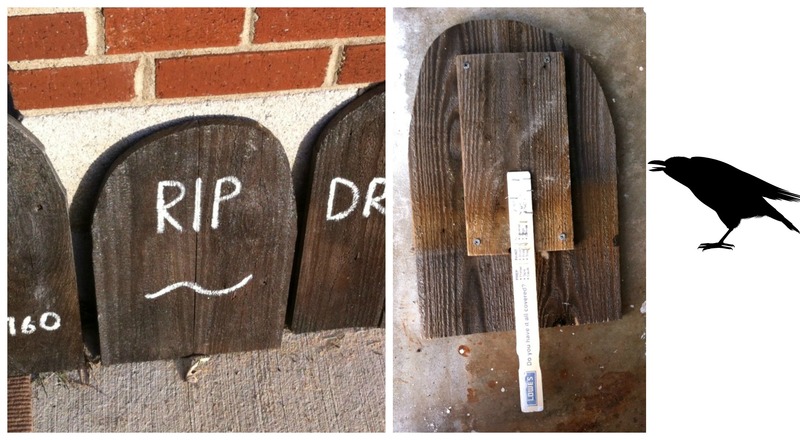 Whenever we trick-or-treated with our young kids, they were always terrified of homemade Halloween decorations. The new stuff never had the same effect on them. Old and homemade looks more authentic and therefore spooks more. Now that my youngest child is in middle school, he wants our house to look ‘freakish’ for Halloween. By that he means zombies, scary clowns, guts spilled on the front door, etc. So, down came the ‘friendly’ scarecrows and up went the semi-scary décor. This is as far as I’ll go. Anymore and I’d be afraid of my own house. Today, I want to show you what I have put together for Halloween. Basically, I roamed the garage looking for items that could function as décor. Here’s what I came up with. 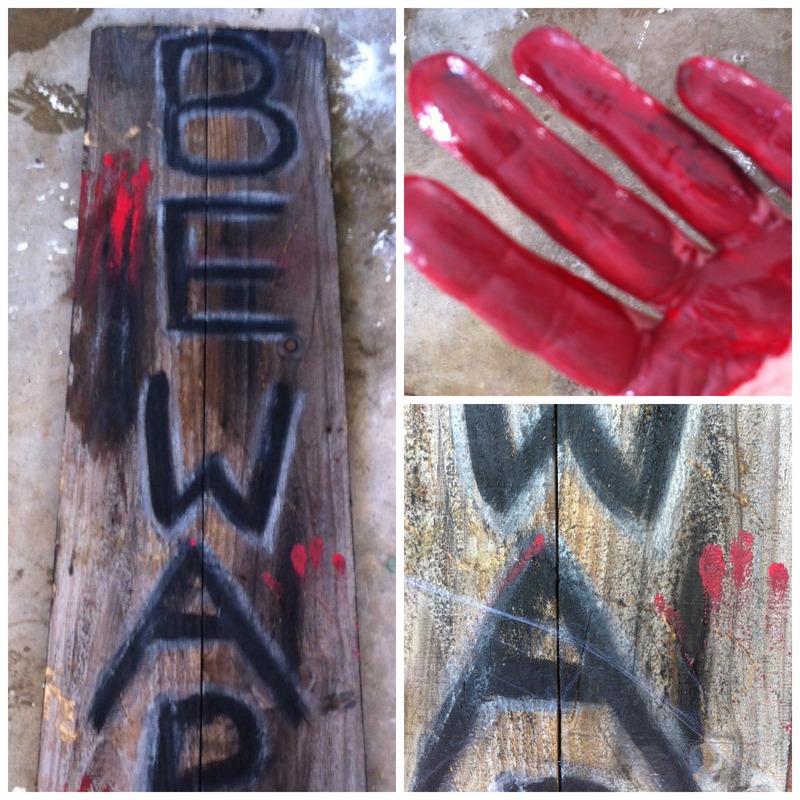 In my opinion, a BEWARE sign needs to look old and dirty. 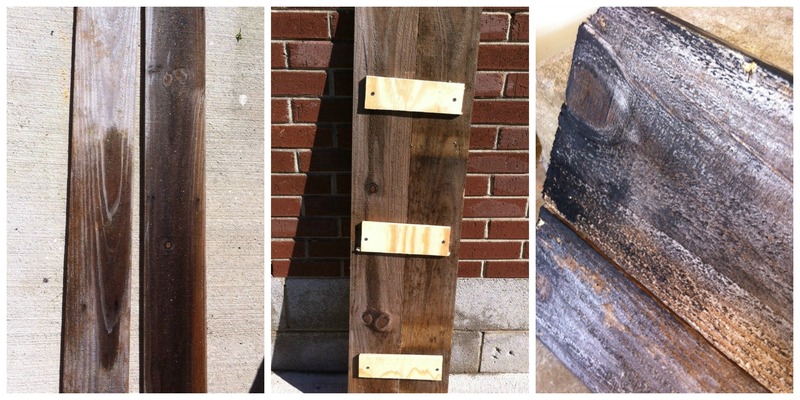 My leftover fence wood (I have used it for many other projects like here, here, and here) was perfect for this project. No need to sand it down. The wood is dirty and flawed which adds to extra creepiness. It was such an easy project as I already had everything on hand. I dipped my hand in some red crafts paint. This is as much ‘gore’ as I can handle. 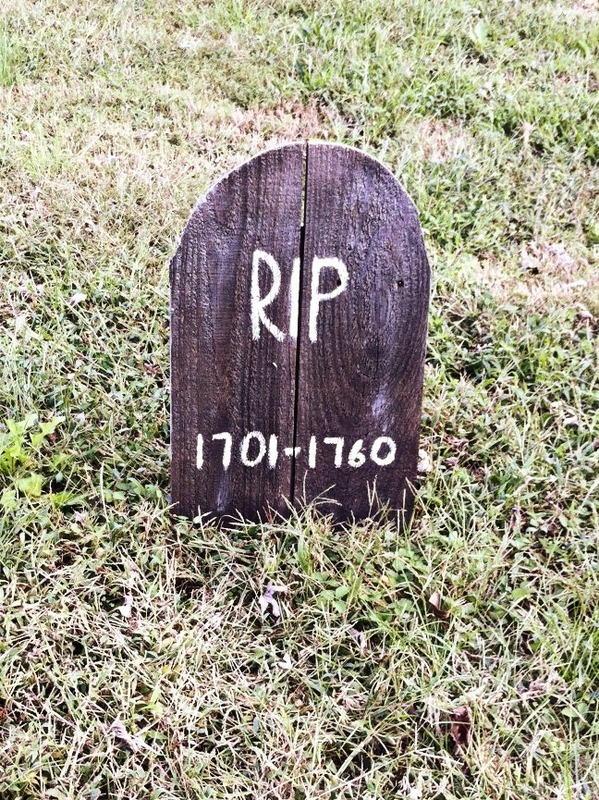 After I finished the BEWARE sign, my son pointed out that our yard needed some tombstones. Of course, doesn’t every yard? Once again, my old fence wood came through for us. 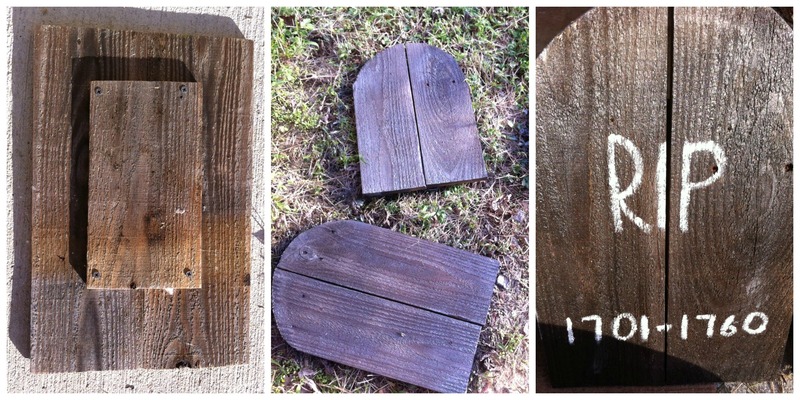 I used my jigsaw to cut the tombstones and then I spray painted them lightly with black spray paint. Again, I used what I had in my garage. White, gray or brown colors work just as well. 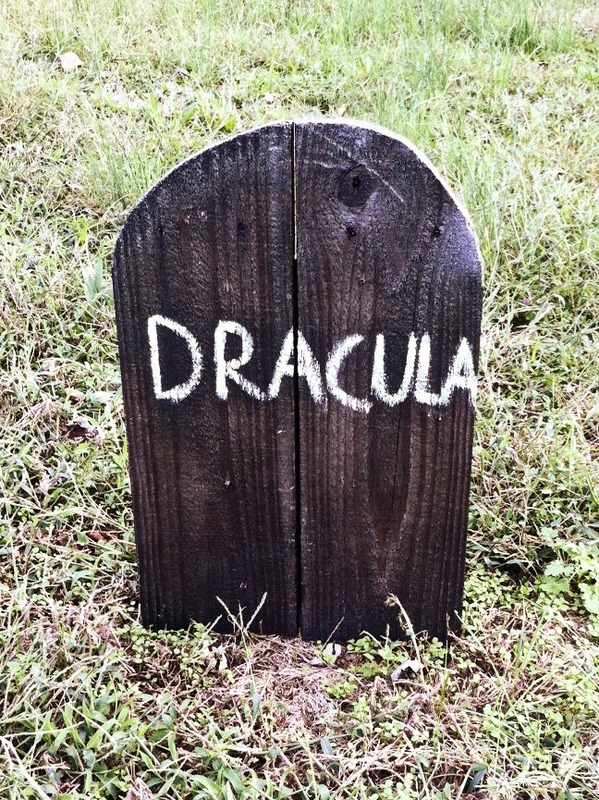 The finishing touch was painting RIP or Dracula on the tombstones. I didn’t want the tombstones to look perfect. No letter stencils, no perfect cuts or paint.The imperfection adds character and interest. A Lowes paint stick is my stake. I used a large screwdriver to dig a small hole in the ground. This way you can push the tombstone in the ground without breaking the paint stick. Of course, you can use metal stakes. I just used what I had. 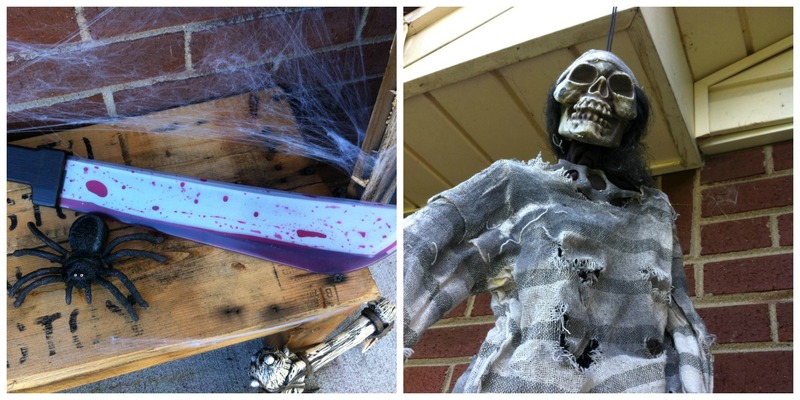 That’s the nice thing about DIY Halloween decorations…There’s no right or wrong. 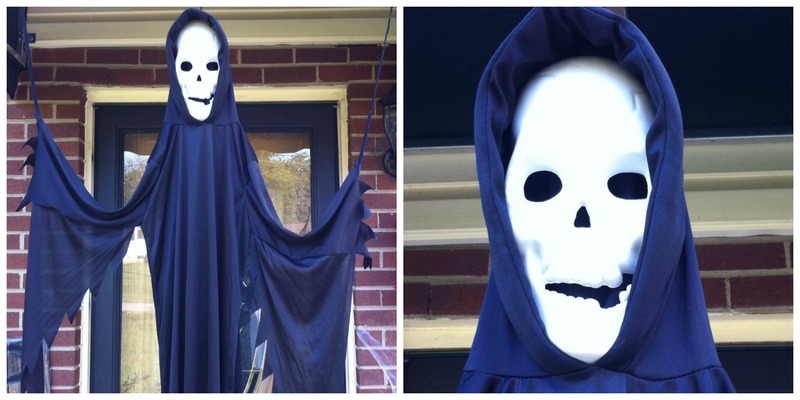 This was my son’s costume from two years ago, now it’s our decoration. The ghost prisoner was bought at a thrift store years ago. The plastic knife was part of my son’s old costume. I love these! The wooden signs are so much better than the tacky blow up decorations people have. I’m always torn between doing the cute crafts or the straight up scary Halloween decorations. Next year, I’m going for scary, lol. Like your decorations! I know exactly what you mean… I used to feel the same way. But now that my kids are older I’m ok with the scary decorations as long as they aren’t too gruesome. Thanks for your kind comment and for stopping by. Have a great week! 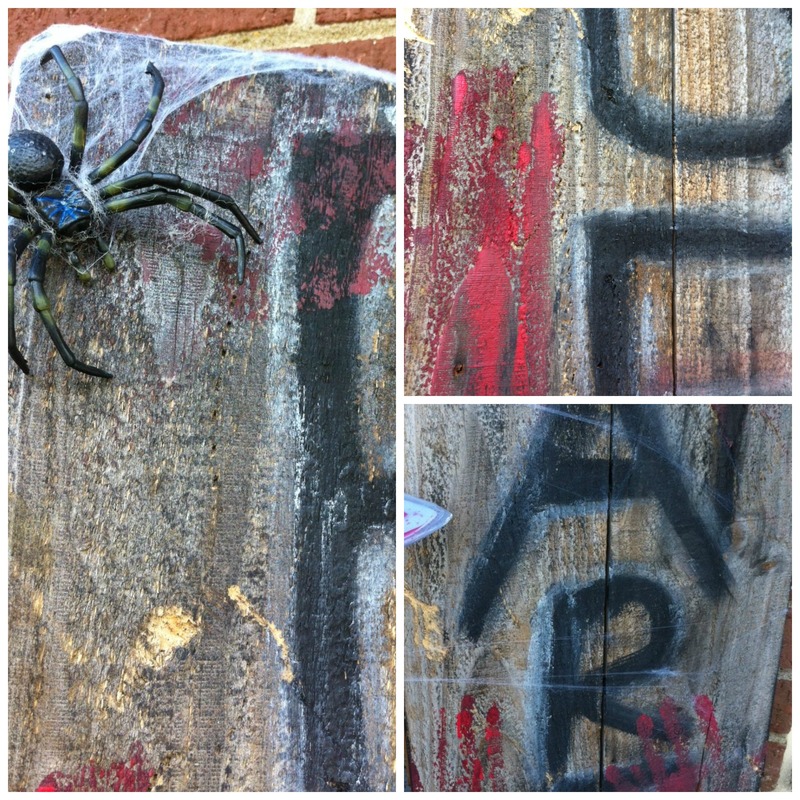 the ghoulish look, excellent results with your recycled projects. Thanks, Marilyn. I always feel better when I can reuse and recycle something. Have a great week! Love your scary halloween, especially the tombstones and beware sign. It has a old ghost town feel to it. Thanks for sharing on Merry Monday! Thanks, Rachel. I was hoping to achieve the old ghost town look. Glad you like and thanks for stopping by!